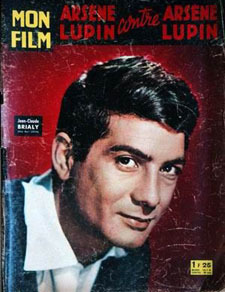 Born in French Algeria to a military family, Jean-Claude Brialy attended military school and after the war, against the wishes of his father he studied drama at Strasbourg. Brialy obtained many minor film roles in the 1950s, and in 1961, an important part in Jean-Luc Godard's Une femme est une femme, released in the United States as A Woman Is a Woman. In the 1960s, he had many fine roles, including La Ronde (1964), and The Bride Wore Black (1968). Brialy became one of the actors associated with the French New Wave movement. In later decades, he reverted more often to supporting parts, but he always enjoyed his work. In 1988, he won a best supporting actor César for Les innocents. Brialy owned a restaurant in Paris, L'Orangerie, and remained quite active until his 2007 death in that city from cancer. Ronald Bergan, "Jean-Claude Brialy", The Guardian, 1 June 2007, obituary. Bergan calls him "openly gay", although in his autobiographies he describes himself as bisexual.